Attana’s long term customer Apogenix AG has published a scientific paper showing increased anti-tumor immunity in mouse studies. The achievement is based on enhanced T-cell activation by means of antibody induced immune signaling. Attana´s technology has been used in developing the antibodies. In the paper, the research team at Apogenix AG shows data where their antibody’s interaction with both the human and mouse version of the target receptor CD27. This new antibody shows superior and consistent properties compared to a benchmark antibody. A clear and consistent dose response was observed in mouse studies. 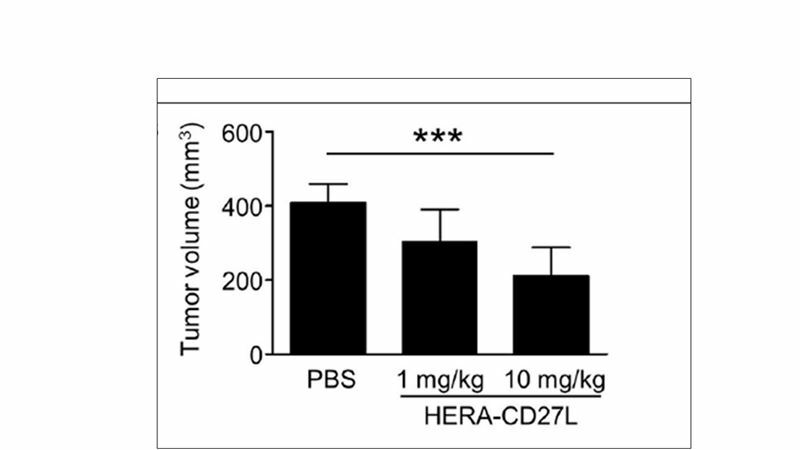 As seen in the attached figure an almost 50% reduction in tumor size was observed during the experiments.